Opticron founded their binocular business over thirty years ago, their overriding principles continue to centre on offering the highest levels of binocular quality and choice. Attention to these have helped them to achieve leadership status in the UK birdwatching binocular market. Quality is paramount and has been developed over years of partnership and collaboration with some of Japans leading binocular manufacturers. The benefits of these relationships are seen in the quality of their binoculars and telescopes as well as the value for money which we believe is second to none. Designed around and built for the professional and enthusiast looking for 8/10x42 quality but preferring the size, weight and feel of a smaller binocular, the DBA VHD offers an unrivalled combination of performance, comfort and ergonomics for under £600. 100% made in Japan. 30 year guarantee. complete in soft case with rainguard, wide nylon lanyard and objective lens caps. OASIS® is the name given to a 64 layer coating process applied to the reflective surface of each roof prism. The application of OASIS® improves light emission to 99% over a broader spectrum at the reflective face - measurably increasing light transmission through the prism and further improving the clarity of the images you see. Designed and built to deliver exceptional performance in a lightweight rugged body, the Countryman BGA HD+ 8x42 is an ideal choice for anyone searching for superior cross-field definition, light transmission coupled with great handling. 100% made in Japan, the model has a high quality look and feel to it and offers wide angle 7.0° and close focus to 2.3m. Models supplied in a soft case with rainguard, neoprene bungee strap and rubber objective lens covers. Featuring the company’s trademark compact optical system, the models combine wide-field vision with crisp, clear and images and colour neutral images. A specially designed and completely natural rubber armouring with unique moldings to maximise grip and comfort in the hand. A truly ergonomic focusing system with close focus to just 2.5m for the 8x32 and under 2.9m for the 8x42 and 10x42 respectively. Fully multicoated optics (BAK 4 prisms and all air/glass surfaces) resulting in the highest optical performance of any instrument in their class. Wide angle eyepieces on 8x32 and 10x42 models. The Savanna R PC shares many of the features of it’s sister porro prism packaged into a single axis roof prism body. Designed as a 32mm from the bottom up, the overriding feel is “slimline-compact” while the dual hinge assembly provides plenty of room for fingers of all sizes. Images are bright and clear and the optical system delivers a favourable field of view 7.0° (8x33), 6.1° (10x33) so locating and tracking objects is achieved with the minimum of fuss. Like their sister models, the Savanna R close in to just 52mm making them suitable for children as young as 7.
complete with soft case with rainguard, lanyard and objective lens caps. The T4 Trailfinder’s clever use of wide-angle optics and fast focus system fitted into a compact body clothed in a soft touch textured rubber combine to create a field glass that is reassuringly comfortable and very easy to use. Budget Nitrogen waterproof series delivering solid performance and good value for money for people wanting the advantages of roof prism deisgn. Entry level roof prism waterproof binocular finished in quality textured rubber armour. 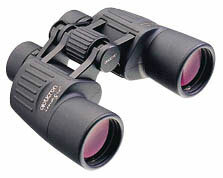 Handy, lightweight, thoroughly modern porro prism binoculars uniquely suited to adults and children. With popular features such as waterproofing, long eyerelief and ergonomic rubber armour, the optical set-up delivers brighter, sharper more three dimensional images compared to similarly priced roof prism binoculars. In addition wide field eyepieces and a large depth of field make for easy focusing and tracking of wildlife. Like their sister compact models, both the 6x30 and 8x30 are engineered to deliver excellent quality and value for money for the younger wildlife or birdwatcher and come with a comprehensive 10 year warranty against manufacturing defects. The Opticron 40951 UTA enables you to increase the magnification of your Opticron binocular or telescope+eyepiece combination by a factor of 2. Fitted to a binocular, the 40951 UTA converts one half into a higher powered long eye relief monocular. It also connects to Opticron SDL, HDF, HR and IS eyepieces.